As if it wasn’t enough to have hundreds of fragrances already at reduced prices, we’ve now added make-up and skincare products to our summer sale. 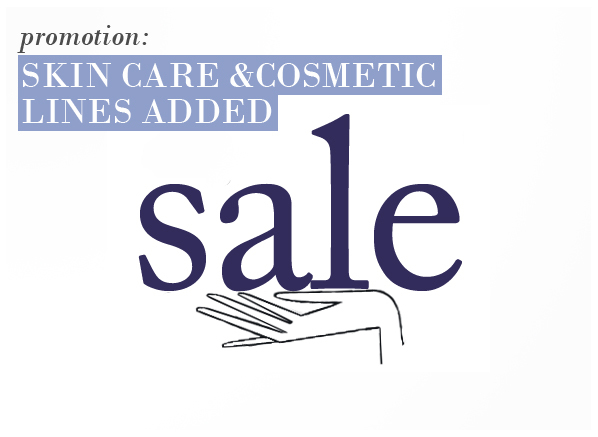 Reductions are available on some great brands including Clarins, Guerlain, Givenchy, Methode Jeanne Piaubert and Vichy! This entry was posted on Friday, July 2nd, 2010 at 4:28 pm and is filed under Make-up, Offers, Skincare. You can follow any responses to this entry through the RSS 2.0 feed. You can skip to the end and leave a response. Pinging is currently not allowed.